Winter activities are full of excitement for those who like adventure and get a thrill from pushing themselves beyond boundaries. Not only are there cold temps making things “extreme,” but skating on ice, sledding and skiing down hills can all be exhilarating as well. For kids, there is more than just having fun in the snow to make winter activities beneficial. First and most importantly, getting kids involved in winter activities keeps them moving and healthy thorough those months when we’re all spending less time outdoors and more time on the couch. Obesity rates in children are on the decline as the importance of health and movement become a focus. Winter sports like skating and skiing are a great way to ensure those colder months don’t throw healthy habits off track. In addition to getting their heart rate up and kids moving more, there are a lot of benefits as far as body and spatial awareness that children gain while learning to ski. Whether it’s sharing the slopes with other skiers, or staying in their own lane. They will also be working on coordination and balance as they stand on the skis and maybe even eventually make it down a hill without falling. 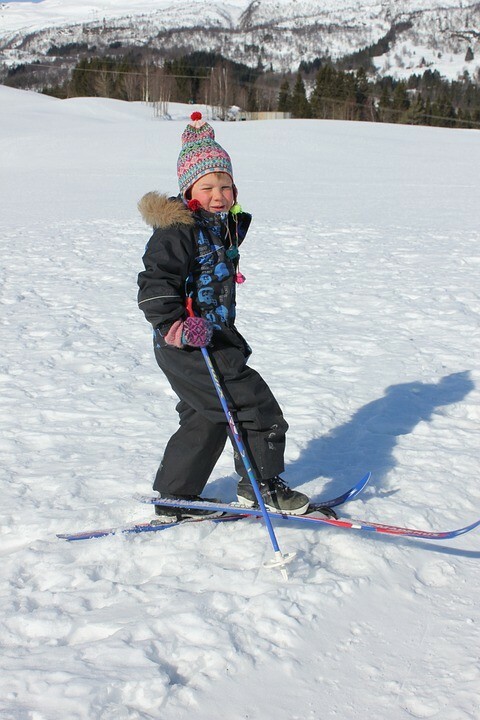 As children learn to navigate the snow with skis on and realize they are capable of achieving a new task, or perhaps something they never thought they could do, it helps to boost their self-confidence and even teaches moments of perseverance including not giving up when learning new tasks and how sticking to it and trying again can bring successful results. For children with special needs or other developmental disabilities, there are adaptive programs specially designed to teach skills needed to ski in a format that is comfortable for them and that moves at their own pace. With adaptive ski lessons, trained instructors dedicated to working with various disabilities help the children learn how to ski by offering personal attention and special equipment if needed for balance or to feel safe. Physical activity and sensory input has also been proven beneficial for children with an autism spectrum disorder. If you live in Connecticut and would like your child to experience the fun of skiing this winter, Mount Southington is holding it’s “Skiers Unlimited” program, an adaptive ski program for children with disabilities aged 6-16 as well as a new preschool program for kids aged 3-6. The program takes place each Friday in Jan. and Feb. from 1 p.m. to 3 p.m. and there is NO COST. All equipment is donated for the season and each child is paired with volunteers to help teach them how to ski. Parents are also welcome to ski with their children.